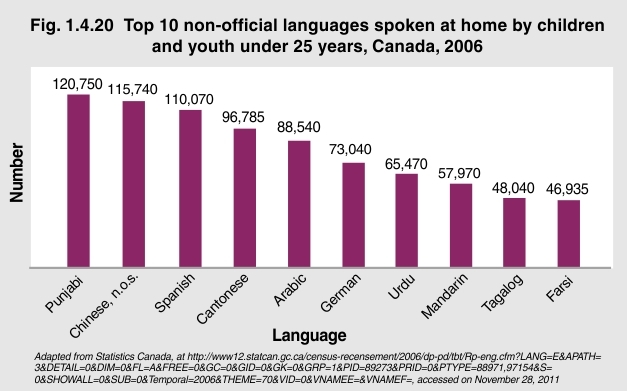 On the 2006 Census, about 1.1 million children and youth under 25 reported speaking a non-official language in the home, either solely or in combination with English and/or French. Ordered by popularity of use, the four non-official languages most often spoken at home by children and youth across Canada were Panjabi, Chinese, Spanish and Cantonese. The popularity of non-official languages was different from province-to-province and across territories.